We are here to make sure every child receives the support they need and deserve. Texans deserve a free and honest market. We’re here to protect their rights. Open Government elevates Texans to their proper role as partners in leadership. We’re here to protect that role. We regularly identify unique threats to Texas—and we take action to defeat them. A global crime that's found its way into our communities. Get the facts on this nation-wide epidemic. Ken Paxton is the 51st Attorney General of Texas. He was elected on November 4, 2014, and sworn into office on January 5, 2015. 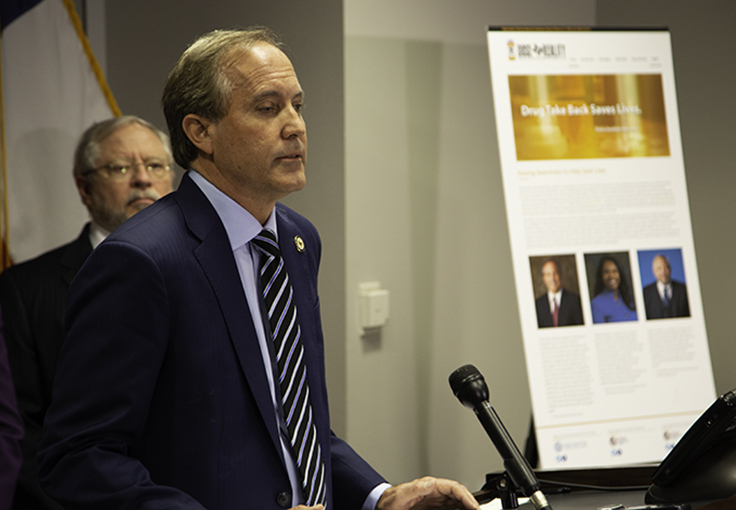 As the state’s top law enforcement officer, Attorney General Paxton leads more than 4,000 employees in 38 divisions and 117 offices around Texas. That includes nearly 750 attorneys, who handle more than 30,000 cases annually.